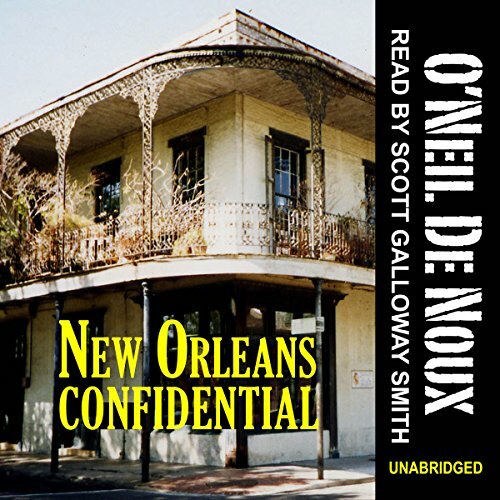 Showing results by narrator "Scott Galloway Smith"
Come prowl the lonely, sometimes violent streets of American's most exotic city, the city that care forgot, New Orleans, with a lone-wolf private-eye named Lucien Caye. Unlike most 40s PIs, Caye rarely drinks, doesn't smoke or wear a hat (it messes up his hair). He's six feet tall with wavy, dark brown hair and standard-issue Mediterranean-brown eyes, a sly smile and a clever mind that often gets him into trouble. Caye lives and works in the run-down New Orleans French Quarter of the late 1940s. This is New Orleans - 1947. It starts as a wandering daughter case when a pretty widow hires New Orleans private eye Lucien Caye to find her 22-year-old daughter. Helen Croix walks into Caye's office with a picture of her missing daughter, Madelyn. She warns Lucien he'll be tempted when he finds the alluring strawberry-blond temptress. Madelyn Croix will most likely seduce him. Helen describes her daughter as rapacious. Lucien has to look up the word to discover it means avaricious, greedy, ravenous - subsisting on live prey. This is New Orleans - 1950. She crossed Canal Street from the neutral ground, walked right past Private Eye Lucien Caye, and he watched her come and go, both views unforgettable. A woman can do that on occasion, sear an indelible image in a man's mind. She remained a snapshot until a week later when she stepped from the darkness beneath the balcony of Lucien's building shortly after midnight, on a sultry Thursday night.